Janet Polli is an aspiring violinist, and she's thrilled that Nordic Fiddlers Bloc is returning to the Twin Cities this weekend. Polli first saw the trio perform a few years back, and was taken with their technique, so much so that she bought their sheet music and started practicing their tunes. When the group offered a fiddle camp in Norway last summer, Polli jumped at the chance and joined 50 other students from around the world as they learned to play new music by ear. 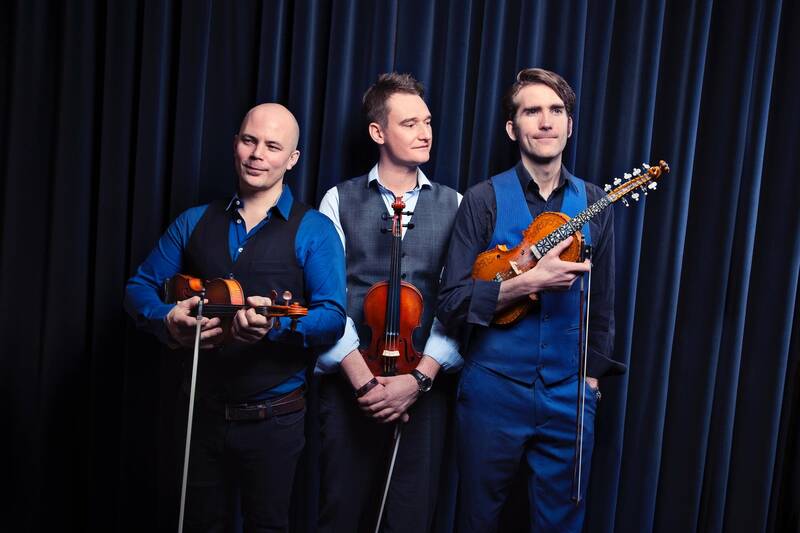 Nordic Fiddlers Bloc performs this Friday at Celtic Junction in St. Paul, and Saturday, Nov. 10 at West Denmark Lutheran Church in Luck, Wis. Artist Heidi Jeub is excited to see original theater being created and produced in central Minnesota. For example, this weekend you can see "Two Days in St. Cloud" at the Helgeson Learning Lab Theatre in Waite Park. The show centers around a family that is "a little North of normal" — a family reunion morphs into a comic disaster. Jeub got to see an excerpt and was impressed that the show had a local spin but was still accessible to anyone. Performances are Friday through Sunday. Actor Katherine Ferrand goes to "Do the Dow" art crawl every year. She says she loves the warm atmosphere, with artists welcoming people into their studios to chat, eat good food and admire a wide range of art. The Dow Building in St. Paul has four floors filled with art studios, plus a gallery that hosts even more artists during the art crawl, but Ferrand says it's not overwhelming at all, and she often comes home with a little something. "Do the Dow" runs Friday from 6-10 p.m. and Saturday from noon - 8 p.m.